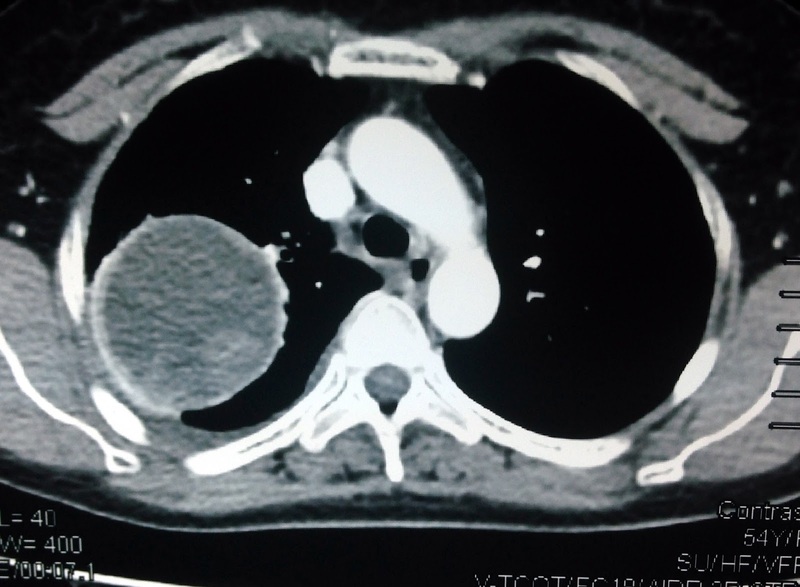 Woman 54 yo with chest pain.Chest x-ray detected one round mass at right lung. 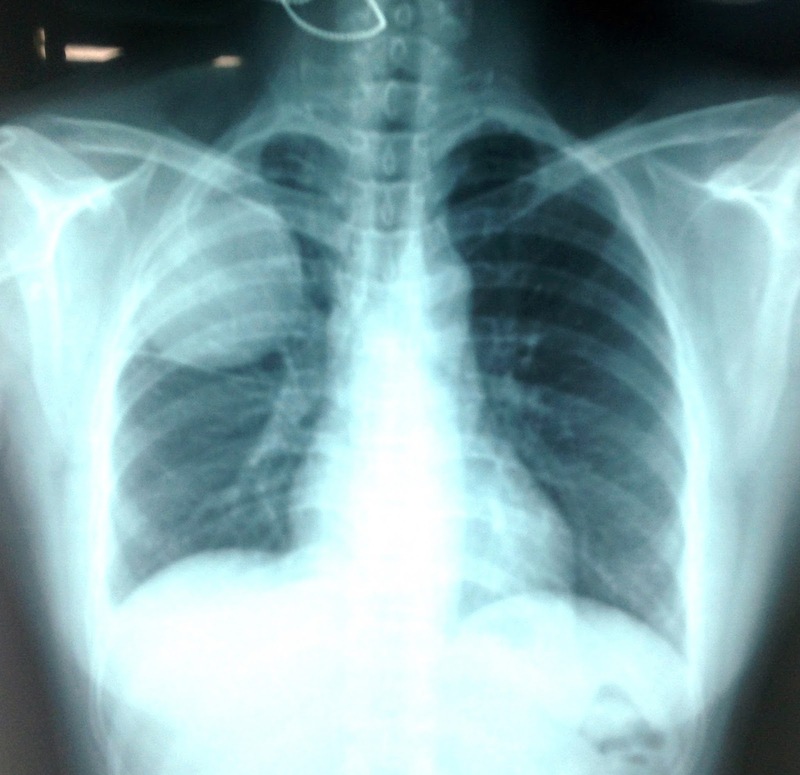 ( chest x-ray AP). 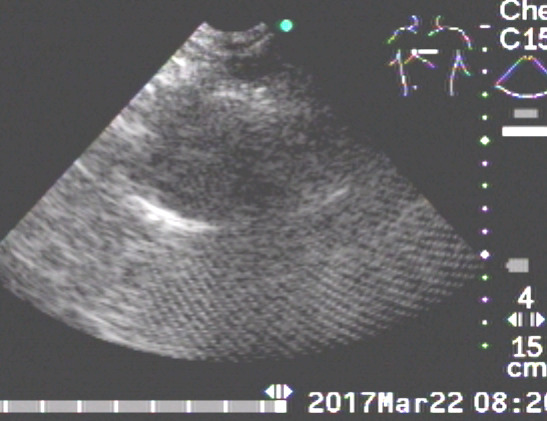 Ultrasound of the right lung represented this mass is hypoechoic like cyst (US). MSCT CE (CT 1, CT 2, CT 3) = this mass is well bordered, size of 6 cm, adherent to the chest wall, with pleural effusion, no contrast enhancement. 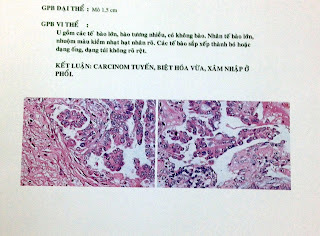 Blood test of all cancer markers are negative. 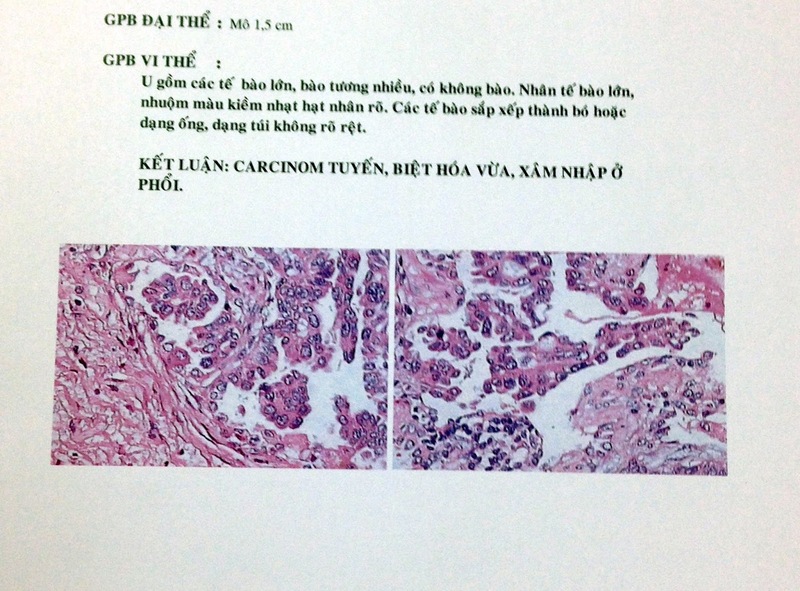 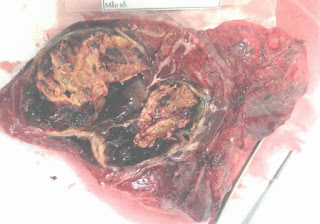 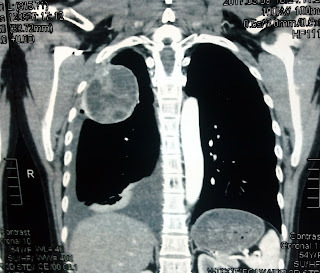 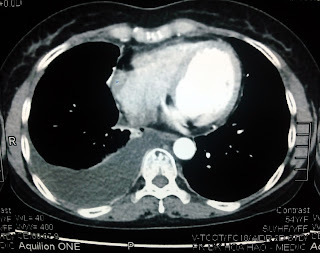 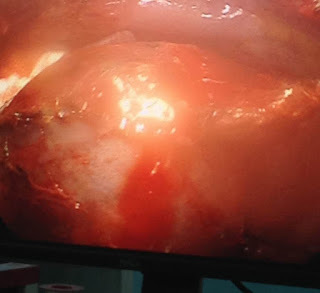 What is your suggestion for diagnosis for the right lung mass?.